Samsung Galaxy S, Galaxy Note series: What’s next for mobile display technology? MANILA, Philippines - Before Samsung Electronics Co. impressed the world with the unpacking of the Galaxy S6 Edge+ and Galaxy Note 5, the global leader in screen technology first introduced the flagship that started it all – the Samsung Galaxy S – recognized then to be ahead of its time. Since then, Samsung has continued to excite consumers with bigger and brighter displays. Back when the world was used to LCD screens and LED was in its infancy, Samsung had already taken a big leap with the Super AMOLED display. The Super AMOLED display was Samsung's improvement of the already-developing AMOLED technology. It featured a sharper image and a more capacitive touchscreen with considerably less glare from sunlight. On another front, Samsung was also pioneering the big screen. The Galaxy Note series coined and defined the term “phablet.” A portmanteau of “phone” and “tablet,” Samsung’s phablets showed what it meant to enjoy the best of both world. The series started off with a 5.3” HD Super AMOLED display. At the time, having a 5.3” screen was a big deal that it crossed into phablet category. Rather than settling for the best, Samsung kept on reinventing itself. After the Samsung Galaxy S came the arguably iconic Galaxy S II, which featured a brighter and more energy efficient display. Then came the Samsung Galaxy S III, which featured the Samsung S Series' first 720p display. As if 480p resolution wasn't enough, the Galaxy S III's HD Super AMOLED display allowed users to experience HD videos played in vivid reproduction. At this time, the Galaxy Note II grew by 0.2 inches, further expanding the definition of phablet. As smartphones were starting to realize their potential as multimedia devices, Samsung stayed at the forefront of the trend and announced that things were only going to get bigger. The Samsung Galaxy S4 turned it up a notch with a Full HD Super AMOLED display. It was Samsung's first entry into the 5-inch 1080p market, which was the widest phone resolution available to consumers then. The Full HD Super AMOLED display was a vast improvement not only for the movie-watching market, but also for mobile gamers. 2012 saw the rise of the mobile gaming phenomenon with stunners like Infinity Blade. 2013's Samsung Galaxy S4 was more than equipped to handle a post-console gaming world with a full HD display and an Adreno GPU to boot. This same Super AMOLED display was also enjoyed by the Galaxy Note 3, which had already crossed the 5.7” screen mark. If the Galaxy S4 was the clearest a phone can handle, the Galaxy Note 3 broke all barriers and competition by offering the widest and sharpest image possible at the time. While the Samsung Galaxy S5 focused more on design, connectivity, and fitness, the camera received a major update which allowed it to take 16MP photos, a feature particularly enhanced by the Galaxy S5's Full HD Super AMOLED display. Users saw an evolution in smartphone photography. Users also an evolution in the phablet industry. For the very first time, the Galaxy Note series’ upgraded their screens to the revolutionary Quad HD Super AMOLED display, a standard that only started gaining traction now. With the Galaxy Note 4’s 5.7” screen, users were guaranteed image resolutions of up to 2K. At the time, 2K was a standard made popular only in TVs. The Galaxy Note 4 brought it to everyone’s pockets. Samsung's current head honcho this year, the Samsung Galaxy S6 amplifies what makes Samsung a pack leader in today's tech industry. Samsung's current flagship sports the Quad HD Super AMOLED display, ramping up the resolution of smartphones to 2K proportions. The Samsung Galaxy S6 isn't just a device to watch movies from; it's an entire cinematic experience with the most true-to-life display in the market. To crunch in some numbers, the Quad HD Super AMOLED display churns out 577 pixels per inch, arguably one of the highest ratios available in smartphones today. Then there’s the Galaxy S6's sibling, the Samsung Galaxy S6 Edge. More than just a crystal clear display, the Samsung Galaxy S6 Edge features one of the latest technologies of today, which is just starting to gain traction everywhere else: curved technology. The Samsung Galaxy S6 Edge gives users a different perspective in life, a way to see beyond the "now." Being the innovators that they are, Samsung didn’t just stop with a bigger and better display. They saw a way to change the way we see screens, more than just its size. The Galaxy Note Edge showcased the biggest and best screen displays the tech industry could offer. With an improved S Pen, the stylus which went beyond what it means to be a stylus, the Galaxy Note Edge pushed the envelope of devices by featuring both a crystal clear 16:10 screen and the latest curved edge technology seen only in Samsung devices. 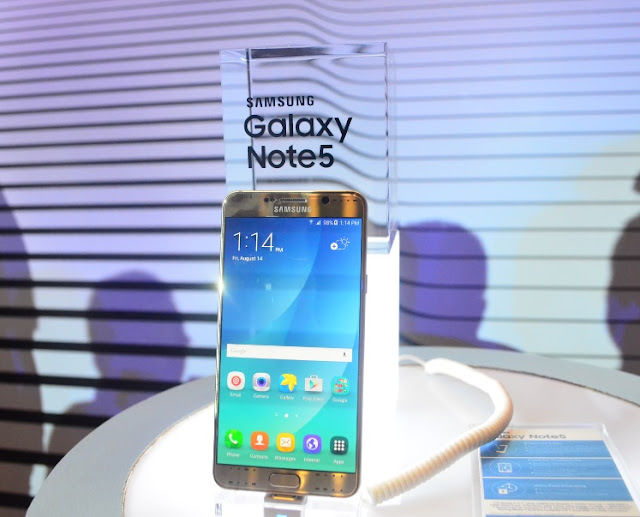 Last August 13 (New York Time), Samsung unpacked the Galaxy S6 Edge+ and the Galaxy Note 5, both with big 5.7” screens. With Quad HD Super AMOLED display optimized for this measurement, the new devices feature more true-to-life displays that will revolutionize the user’s viewing experience. The Galaxy S6 Edge+ pushes the boundaries of curved technology, while the Galaxy Note 5 revolutionized how we use screens with a new and improved S Pen. 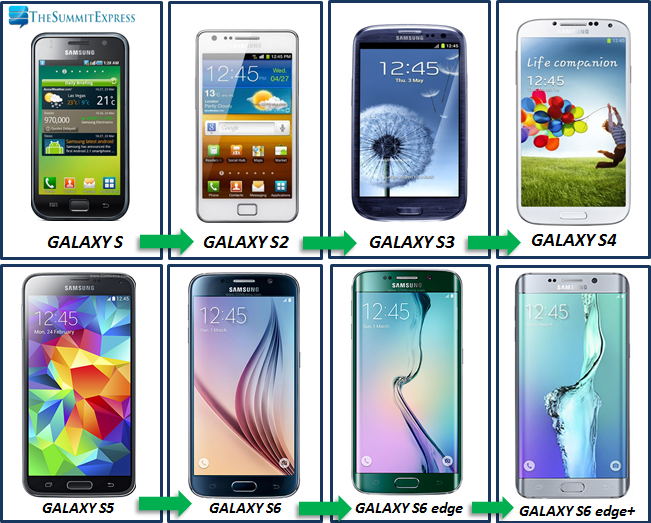 One has to ask what's next for Samsung as users are realizing that bigger is definitely better. Because Samsung continuously leads the wave of every tech trend with its innovations, it will be a treat to see how Samsung will push the boundaries even more.